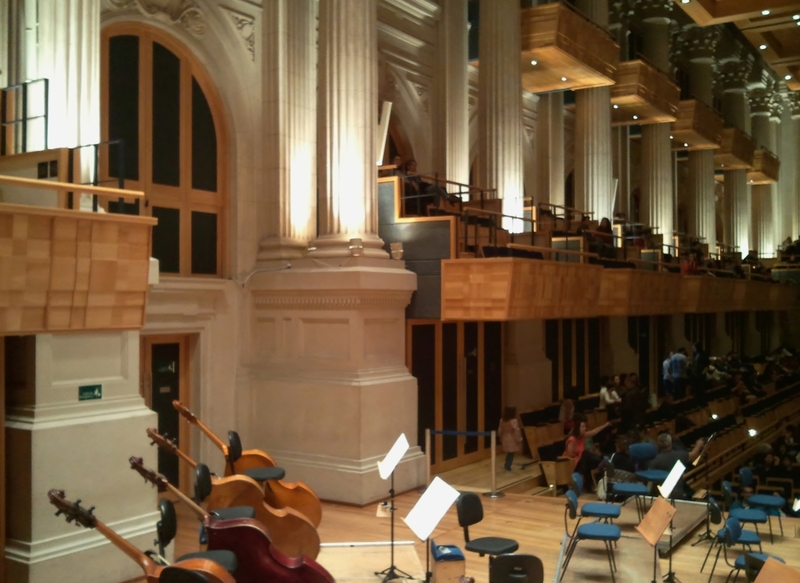 Concerts at the Sala Sao Paulo tend to be spoken of by venue rather than by performer or composer, and you soon see and hear why. 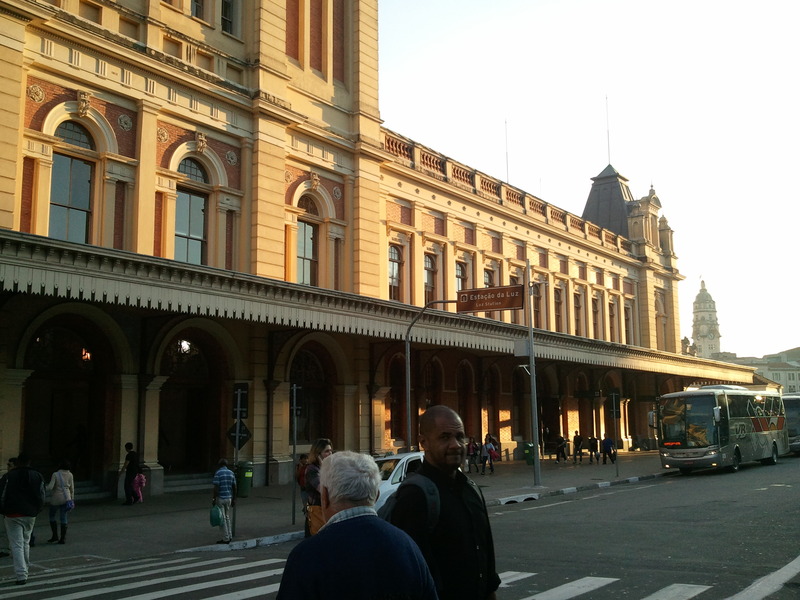 From here, coffee from the interior of Brasil was taken by rail to Santos to be shipped to the world. This building has led many lives. 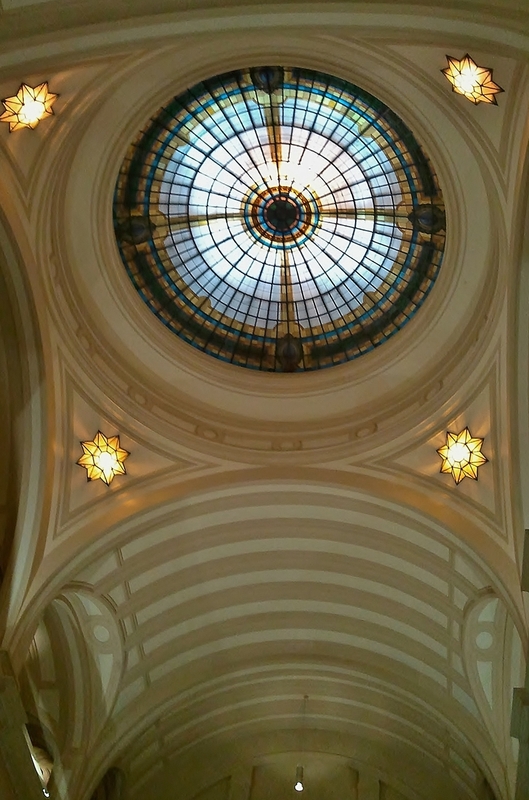 These days the acoustics of the former Julio Prestes railway station or ‘JP’ are world-famous. It is compared with the best classical music venues, which whether by ‘feel’ – Amsterdam’s Concertgebouw – or by acoustic science – Boston’s Symphony Hall – were purpose-built. All the more commendable that the happy accident of the station’s ‘shoebox’ shape was enlisted for the permanent home of the São Paulo State Symphonic Orchestra OSESP. 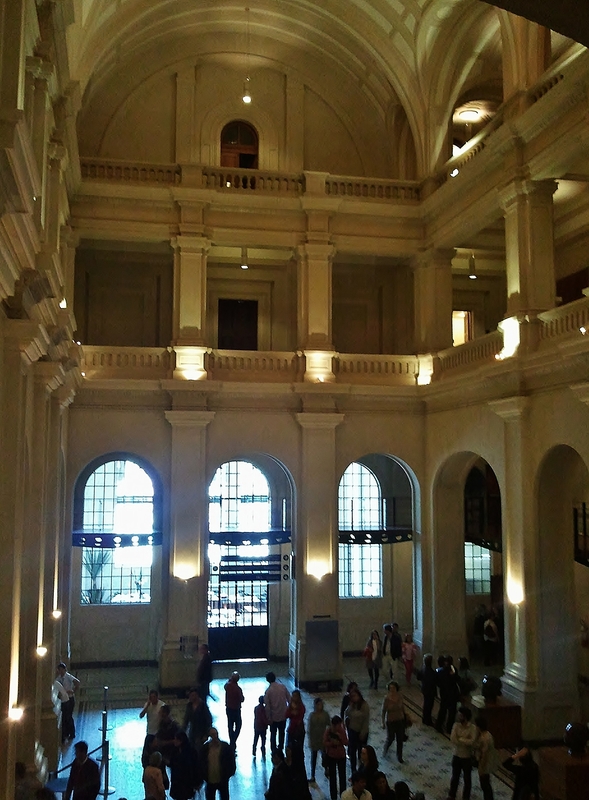 On Sundays at 1100 am the Sala holds a regular free Matinais concert. The house rules – no eating or drinking, no wearing of shorts, no clapping between movements – suggest an educational remit for this joint State and Federal government project. 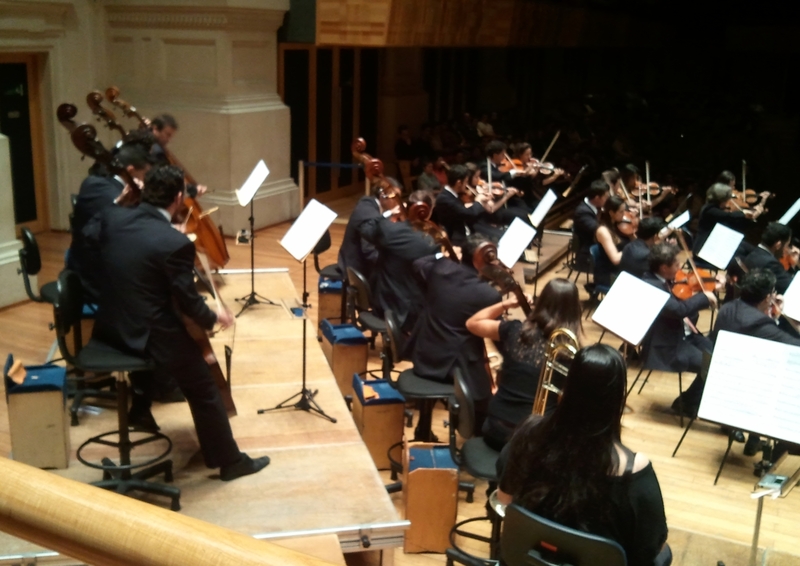 Last Sunday the Sala hosted the Orquestra Sinfônica de Santo Andre, under the baton of Carlos Eduardo Moreno. The traditional programme – Beethoven’s Fifth, a bassoon concerto by von Weber – showed off this regional orchestra to perfection. Strong instrumental playing and a beautifully controlled ensemble responding vivaciously to the Maestro’s reading gave a capacity audience some spine-tingling moments. The acoustic is indeed excellent. 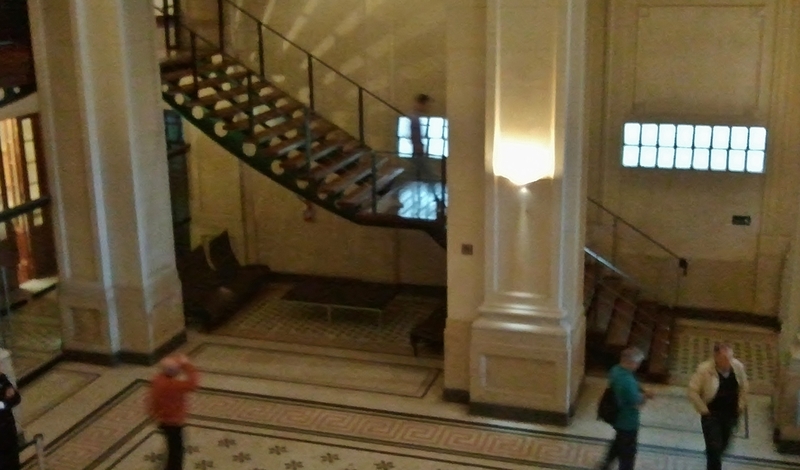 While the glories of the 1920s neo-classical building are preserved, the main focus of the restoration was the sound: the suspended adjustable ceiling, the sound-absorbing floor, the ‘air lock’ entrances, the thermo-acoustic roof, the placing of the seats, all were designed to optimise the flow of sound. US specialists Artec created an auditorium in 1999 which eliminated the noise of passing trains. The trains no longer run, but the acoustic is outstanding, crisp though not too dry, and the hall is a pleasure to run your eyes over as you enjoy the music. The enthusiasm of the 1500-strong audience confirms the wisdom of this spend, an investment in the long-term health of Sao Paulo’s musical life. 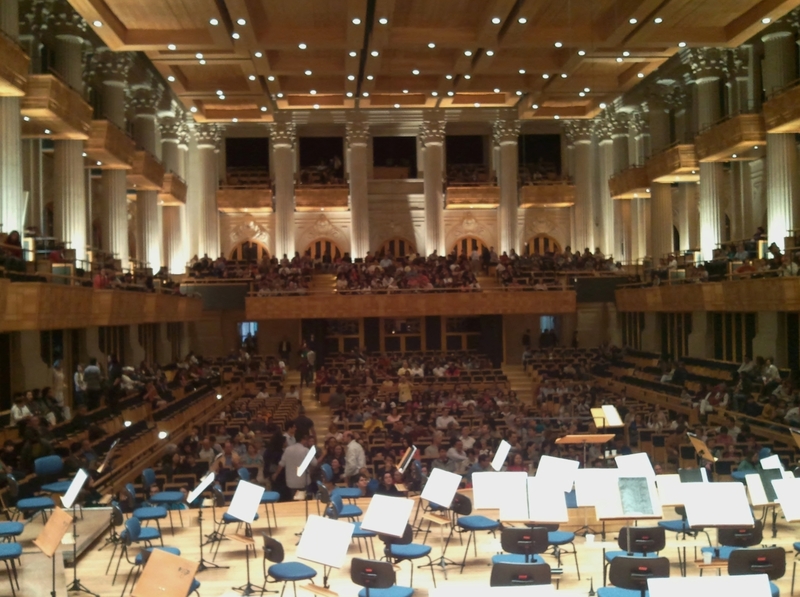 Yet this miracle of a concert hall is just a few blocks away from the current Metrô station, the Estação da Luz, and the desperate and destitute who frequent the Jardim da Luz over the road. Searching for the Sala, we mistakenly parked alongside Luz, and asked the locals who had appeared from nowhere for directions to the Sala. They indicated the Estação da Luz, and suggested we should pay them to look after the car, to prevent it from being scratched. This being a fact of Sao Paulo life, I gave them R$10 as we got out of the car. It was then that we were told that the Sala was a few blocks walk away, in the other direction. We drove on wiser and they R$10 richer. The contrasts of life in Sao Paulo were thrown into sharp relief.